One of the biggest adjustments a new mother may have to make is to realise that babies can need their mothers twenty-four hours a day. From the moment a woman gives birth she can find herself bombarded with a vast array of ideas and suggestions, and this can lead to confusion on what she might expect. In particular, where, when and how much a baby should sleep is the subject of much confusion and contradiction. Parents may have been given unrealistic information on how much a baby will sleep, and their expectations might not be developmentally or physically appropriate. The baby may be labelled as having a sleep problem when, in fact, he is exhibiting normal behaviour. 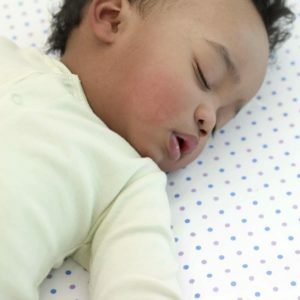 LLLGB disagrees with the methodological approach and the conclusions of a new study from Flinders University in Adelaide, Australia, which was recently published in the journal Pediatrics.1 The researchers studied 43 sets of parents, with babies between 6 and 16 months, who felt their child was having problems sleeping. They divided the group into three sets: one group was asked to leave the child and wait longer and longer before going back to comfort him (graduated extinction); the second group was able to stay in the room until the child dozed off (bedtime fading); and the control group did not attempt any sleep training. 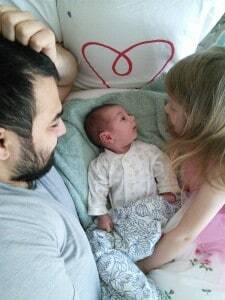 New parents who are feeling sleep deprived and are confused on whether to leave their baby to cry could be misguided by this new research, and it is therefore important to stress that when the study is looked at in detail, the results are not as positive as they may at first seem. Leaving babies to cry because it is supposedly good for them is a long way from the calmness we aim for today, and yet, some modern day ‘gurus’ still cling to this idea. In her recently republished book, The Baby Book, maternity nurse Rachel Waddilove says she teaches mothers that it is ok for babies to cry. 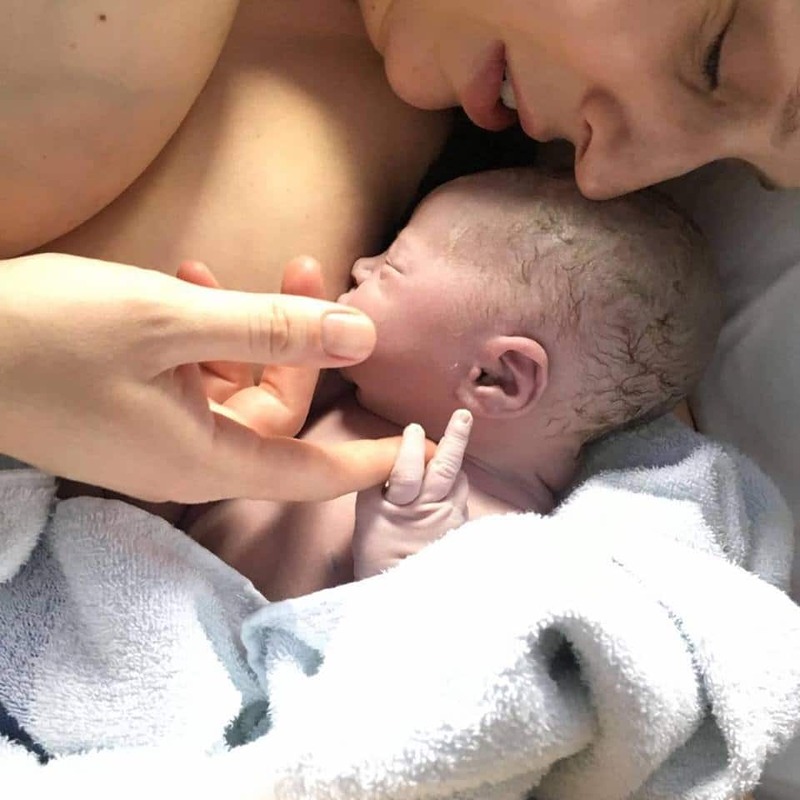 In a comment which could be an echo of the misinformed statements of the 20th century, she says: “Very often a baby’s normal way to go to sleep is to have a shout, air their lungs. If you rush to them you interrupt the pattern of them falling asleep”.7 It would be considered very distressing for an adult to cry themselves to sleep each night, and the same is true for a vulnerable baby calling out for his parents in the only way he can. Leaving a baby to cry may, possibly, give short-term relief to the family who may get a better night’s rest. However, there are many studies which disagree strongly with the claim that leaving a baby to cry is not stressful. The 1999 Ontario Early Years Study8 explains how the brain is being hard-wired in early development and how the patterns which emerge will last for a lifetime. How the adult brain reacts to stress is influenced by this early development, and adults who were stressed as babies can have abnormal stress reactions in later life, as well as a greater vulnerability to social attachment disorders. In 1998, Harvard research showed that babies who cried excessively were susceptible to stress as adults, and sensitive to future trauma.9 Chronic stress in infancy can also lead to an over-active adrenaline system, causing anti-social and aggressive behavior, and even affect physical illness far into the future. While the Flinders study claims to have found no ill effects, the participants would need to be monitored for many years into the future for this to be clearer. Are there any sleep training gains? The Flinders study found that, after three months, babies in the cry-it-out group fell asleep almost 15 minutes faster than babies in the control group, and those in the bedtime fading group went to sleep about 12 minutes faster. 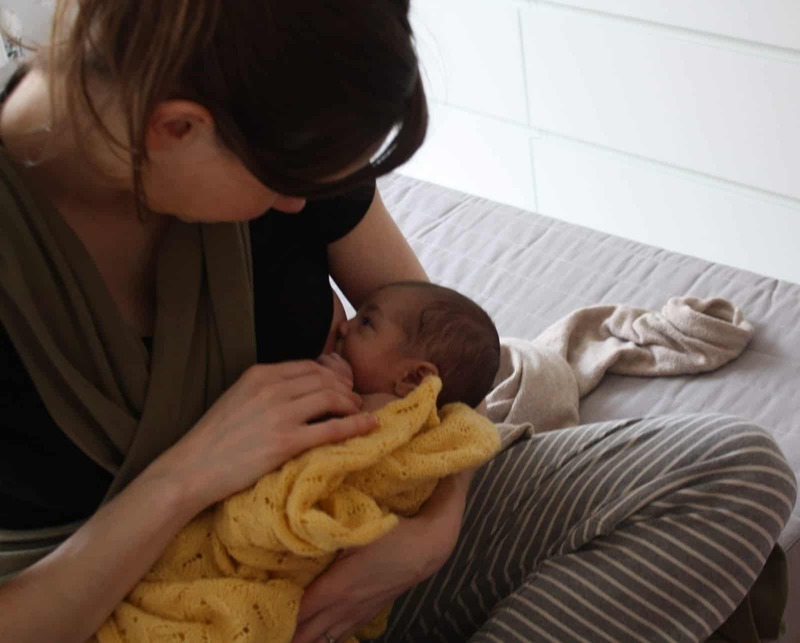 Commenting on the Flinders study, Professor Weinraub said: “When you are waiting for your baby to go to sleep, every minute counts”11, but this assumes that the time spent with a baby is something to be wished away. The Flinders study also found that, one year after the interventions, babies in all three groups had about the same amount of sleep because sleep health improves naturally as babies get older. This would seem to indicate that babies would have started sleeping more without any intervention. It is not easy for mothers to leave their baby to cry. It isn’t meant to be. A baby’s cry is intended to elicit a response from its caregiver. It is extremely distressing for a mother to listen to her baby calling for her and yet to believe that not responding is the best thing for their child, even when it seems so wrong. Leaving a breastfed baby to cry may alter normal feeding patterns, and unnaturally longer sleep patterns may affect the protection regular waking gives babies in regulating their breathing. There seems to be very little gained by leaving a baby to cry, and a very small, short-term increase in sleep time would have to be balanced against the stress caused to both parents and infants. It’s interesting to note that adults in relationships enjoy being close to each other and sleeping in the same bed. It is comforting to wake in the night and feel the presence of someone we love next to us. It raises the question of why a baby or child should be expected to sleep alone, left to cry and “self-soothe” when adults aren’t. Should babies be expected to sleep through the night? The Flinders study assumes it is normal to expect babies to sleep through the night by themselves by a certain age. However, in many cultures, co-sleeping and breastfeeding are the norm. The idea of putting a baby to sleep in his own room alone has only been considered normal in industrialised Western societies over the last hundred years or so. We may have changed our expectations of what is normal, but a baby’s need for his mother’s milk and proximity to her body remains the same. Professor James McKenna of the University Of Notre Dame, Indiana, says that human babies are born developmentally immature and require parental (especially maternal) smell, touch, sounds, and movement in order to feel secure and have their physical needs met at an optimal level14. All primate infants, including humans, biologically expect to be in close contact and proximity with their caregivers. For hundreds of thousands of years mothers have effectively combined co-sleeping and breastfeeding to provide for their babies’ immediate social, psychological, and physical needs. According to James McKenna, mothers and babies who sleep with or close to each other develop coordinated sleep patterns, so it is often much easier to wake when the baby needs feeding or comforting and to fall back to sleep afterwards. When deprived of the physical comfort she needs, a baby will use her primary survival response — crying to attempt to attract the attention of her parents. 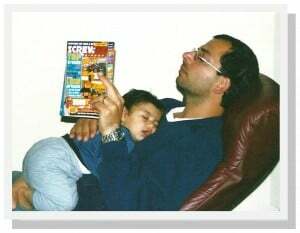 By using cry-it-out methods to train their babies to sleep, parents are severing the link between crying and response. They are ignoring the very thing which is meant to ensure an infant’s survival. Looking after a new baby can feel exhausting. Weinraub’s 2012 study claimed that mothers of babies who woke persistently were more likely to be depressed, although it recognised this needed further research. One of the things many parents find useful is to know that what they are experiencing is normal. Just knowing that they are not alone and that night waking is something many others experience can make all the difference. When parents are led to expect that babies should sleep through the night at a certain age, that they should learn to sleep on their own and ‘self-soothe’, parenting doubts and concerns can arise. It can be helpful to talk to other parents who understand their difficulties, including those who have seen their children develop and start sleeping through the night when they are ready. The age at which this happens will vary greatly from child to child and labelling a child who wakes up as having a “sleep problem” can be misleading. If a mother is feeling exhausted, it may help to look at the family’s life as a whole and ask if anything can be done to make it easier. Are there times in the day when the mother might be able to make time to sleep? Perhaps a trusted friend or family member could be asked to come to the house and keep an eye on the baby for an hour or so in the day while the mother has a rest, or give a hand with household tasks. Taking a short break to do something she enjoys, or even having a relaxing bath, can revitalise her and make it easier to give time to the baby. Knowing that night waking is normal and will pass helps to create a more positive feeling. Believing that it is wrong and you should be doing something about it builds negativity. Many parents already instinctively stay with their baby while he falls asleep and avoid stressful crying. Some mothers also decide to keep their baby right beside them during the night and find this much easier than attempting an unrealistic bedtime routine. All parents need to make choices which feel right to them, basing their decisions on accurate information. While “experts” may assure parents that they shouldn’t feel guilty about not comforting their babies when they are crying, many parents find their instinct to go to their child is hard to ignore. In her study, Weinraub says that parents should “resist the urge to respond right away to awakenings”.16 Ideally, this kind of decision would be based on what the parents feel is best for them and their own baby, rather than academic advice. LLL accredited Leaders are mothers who have breastfed their own babies and know that when a mother needs a bit of help it can’t wait until tomorrow. They provide telephone counselling, email support and local group meetings, with leaflets on a wide range of breastfeeding questions, information on more unusual situations, access to a panel of professional medical advisors, and books covering various aspects of pregnancy and child care.